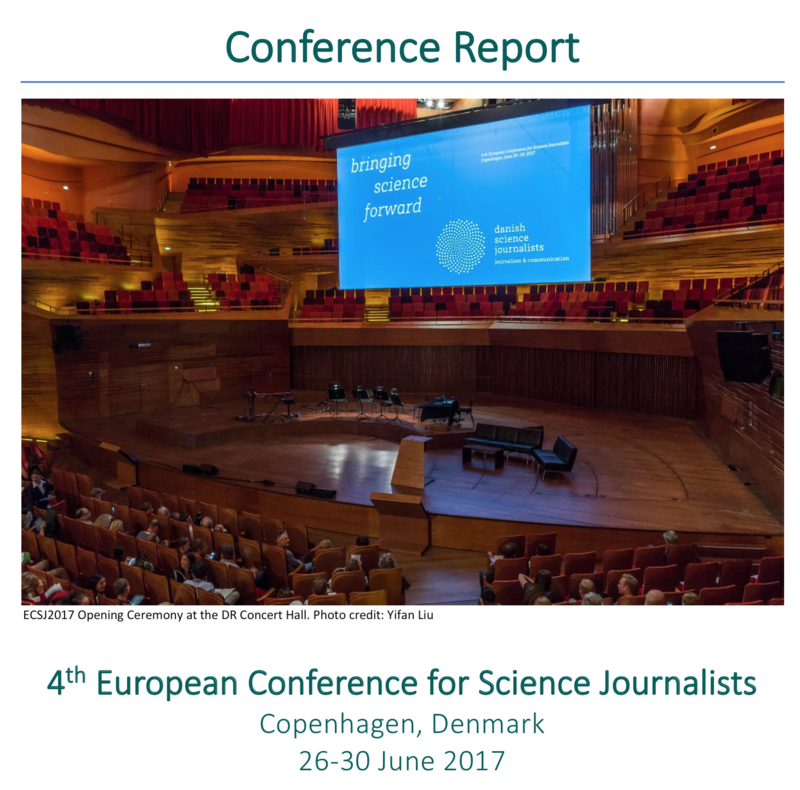 An online survey about science journalists – focused on Europe and EUSJA – was launched at the end of January by Science Writers in Italy, and in the first few weeks has already collected 226 responses, mostly by members of associations belonging to EUSJA. 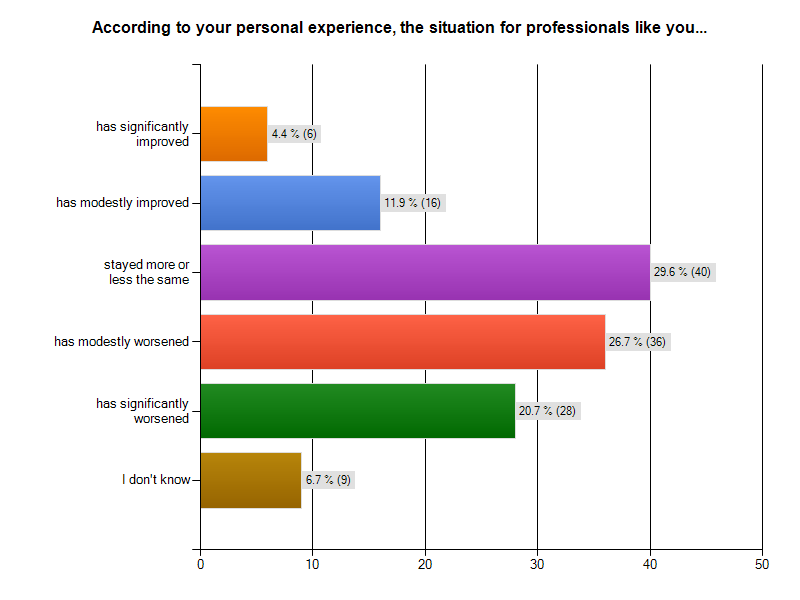 The survey – called “Know Thyself, Science Writer” – was preceded and inspired by the unexpected success of a similar questionnaire aimed at science journalists and writers from Italy: it was maybe with the ancient “Gnothi seautòn” in mind that 318 Italian professionals completed the online survey (the analysis of the first 250 answers was published on the magazine of the Order of Professional Journalists of Lombardy, that supported the survey, in an article available online, in Italian, and the pdf with all the answers is available as well). Now European science journalists – as well as colleagues from all over the world – are warmly invited to dedicate 5-10 minutes of their busy time to contribute to enlarge and better define the picture through the new online survey, in English. The questions are intended to collect quantitative and qualitative data about the profession and the way it is changing in a period of crisis, that according to several observers has put science journalism “under threat”. 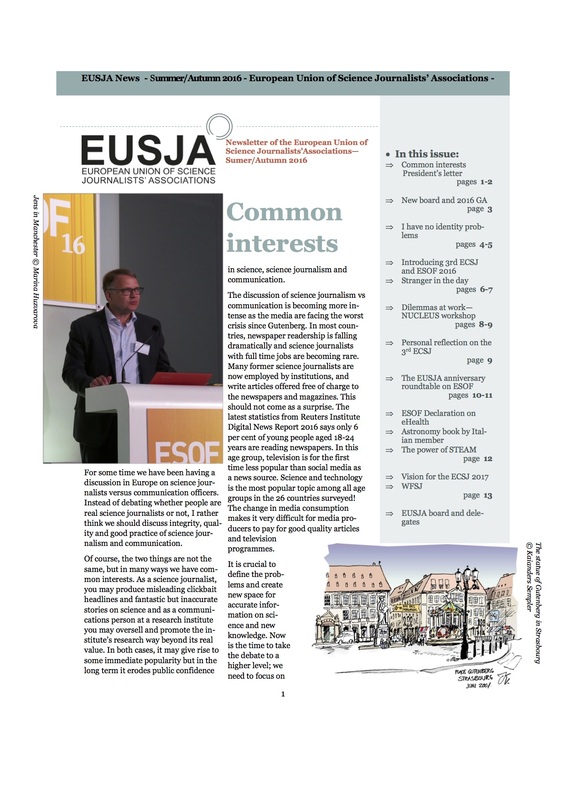 The first 137 responses collected among EUSJA members offer already an interesting glimpse. 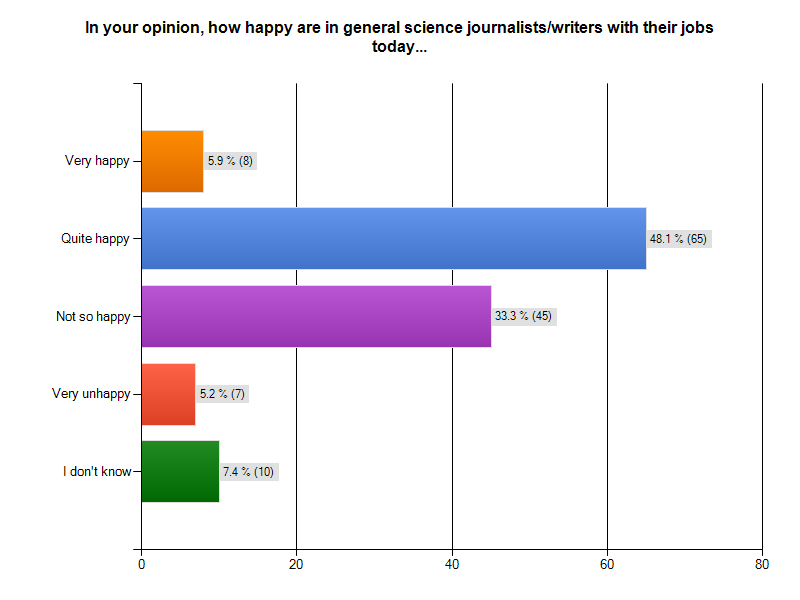 Asked about their personal perception of the general situation for science journalists working in Europe the respondents belonging to EUSJA (137 out of a total of 226 so far) seem to confirm a negative trend, although a small but significant percentage experienced an amelioration..
Interestingly enough, the question about perceived happiness with own jobs shows a sligthly different pattern. 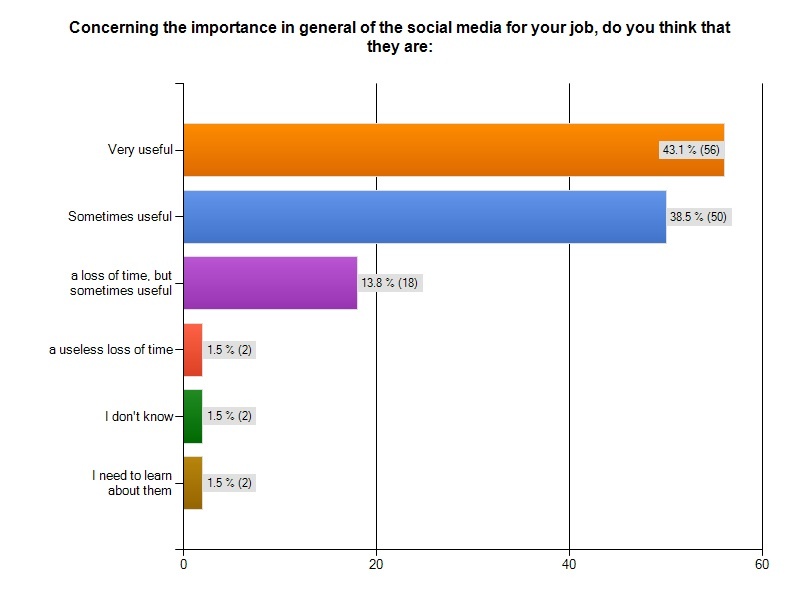 The survey will also also investigate about the use and the perceptions of usefulness of social media (the high numbers in this specific answer are probably influenced by the fact that so far the survey was advertised online through social media themselves). The results of the new survey, that has already received responses from all over the world, will be published online, and will be available for focused analyses. 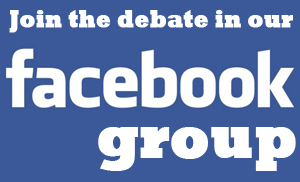 The tool used for data collection will in fact allow the extraction of sub-groups of members belonging to specific European countries and even to individual national associations.